Finally getting my post done from last months sketch outing. 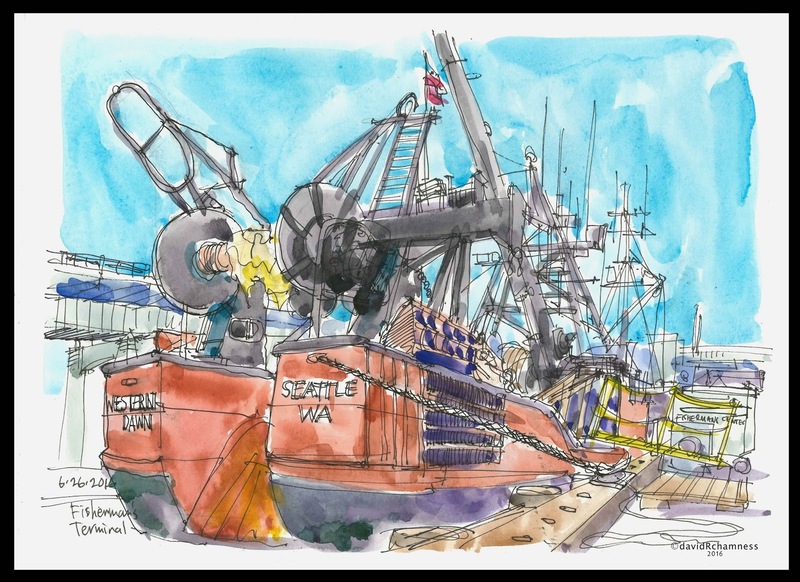 My first sketch was from the furthest dock east with a good long view of the Ballard Bridge and some of the fishing boats. For my second sketched I spun around and sketched the Western Dawn fishing boat from its stern.